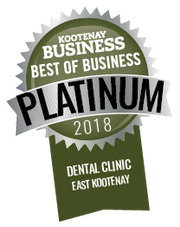 The professional team at Kimberley Family Dental enjoys helping patients of all ages achieve and maintain a bright and healthy smile, including children and adolescents, adults and seniors. New patients and emergency appointments are accepted. We invite you to give us a call or visit our wheelchair-accessible office at 90 Wallinger Ave in Kimberley, BC to book your appointment. Have any questions? Fill out our online eform and we will get back to you as soon as we can.